Today the pair AUD/USD has reached four-week highs at 0.9374, and then been corrected. Investors are waiting for the preliminary data on US GDP. 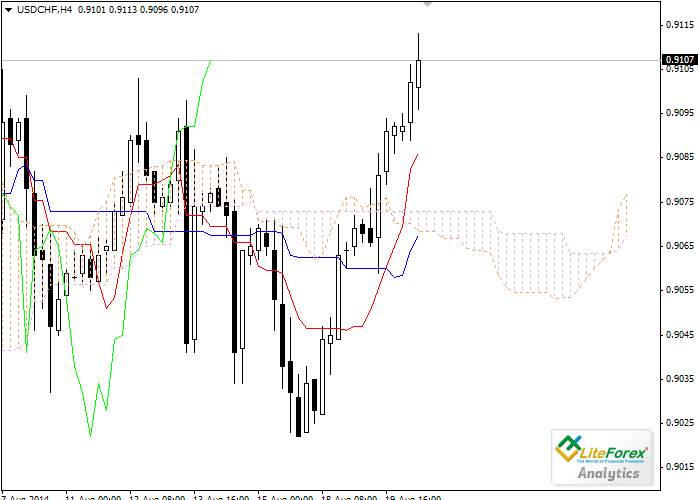 If the positive forecast proves itself right, the pair will be corrected to the levels of 0.9320 and 0.9280. The pair GBP/USD is still falling. At the beginning of today’s session the Pound has hit the lows at 1.6540, but been corrected later to the level of 1.6580. The pair continues downward movement despite Mark Carney’s promise to raise interest rate. Moreover, regulator decided to harden monetary policy. This is my first post here at Forexspace and i am here to share my experience that i have gained in my trading life.I am trading Forex at Xm.com for 4 years and still didn't face any problem.Well,Today I will share about the trading mistakes that you should avoid to win in your trading life. Let’s look at the four-hour chart. Tenkan-sen line has crossed Kijun-sen from below, forming trend reversal pattern. 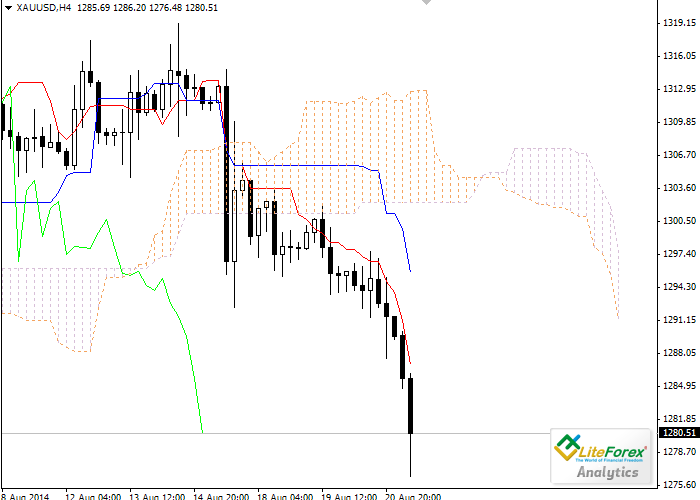 Chinkou Span line is crossing the price chart from below; current Kumo-cloud is descending. The closest support level is Tenkan-sen line (101.96). The next obstacle for the price on its way up will be the lower border of the cloud at 102.72. Let’s look at the four-hour chart. Tenkan-sen line is below Kijun-sen, they are both horizontal. 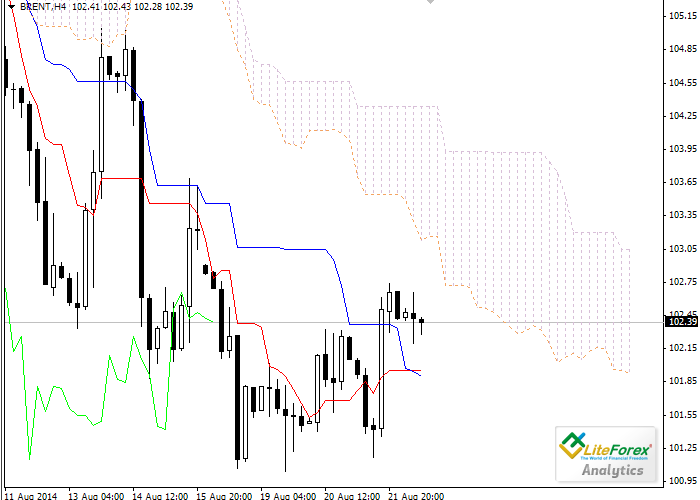 Chinkou Span line is below the price chart; current Kumo-cloud is descending. The closest resistance level is Tenkan-sen line (1287.08). One of the previous minimums of Chinkou Span line is expected to be a support level at 1267.22. Let’s look at the four-hour chart. Tenkan-sen line is above Kijun-sen, they are both directed upwards. Chinkou Span line is above the price chart; current Kumo-cloud is still ascending. The pair is stillgrowing, the closest support level is Tenkan-sen line (0.9086). One of the previous maximums of Chinkou Span line is expected to be a resistance level at 0.9130. The price of Brent fell last Friday, after the news that the USA are planning to attack militants in Iraq. Investors took this news as an indication of the upcoming stability in Iraq, one of the largest oil production countries in the world. Under the pressure from this news Brent fell below the level of $105.00 per barrel. Yesterday, the currency pair USD/JPY had a not very good day. The pair has been declining throughout the whole day. In the evening, following the release of US news on trading balance and oil inventories, the pair sharply went down up to support level of 101.80. However, after that the pair won back the lost positions. At the closing session the pair traded near the level of 102.00. After failing to break out the level of 103.00, the pair USD/JPY started the correction. However, the Yen exceeded resistance level of the yearly downtrend, therefore, in the short-term the pair may go up to the level of 105.44.